Wicked Horror recently had the pleasure of speaking with the talented and incredibly down to earth Bianca Kajlich (Halloween: Resurrection, Rules of Engagement) about her role in the horror picture Dark Was the Night. She offered us her take on the film’s subtext, explained why she was eager to embrace playing a mother onscreen, and also weighed in on Kevin Durand’s resemblance to Wolverine. Dark Was the Night sees a small town plagued by a monstrous being when a logging company leaves the creature without a home. 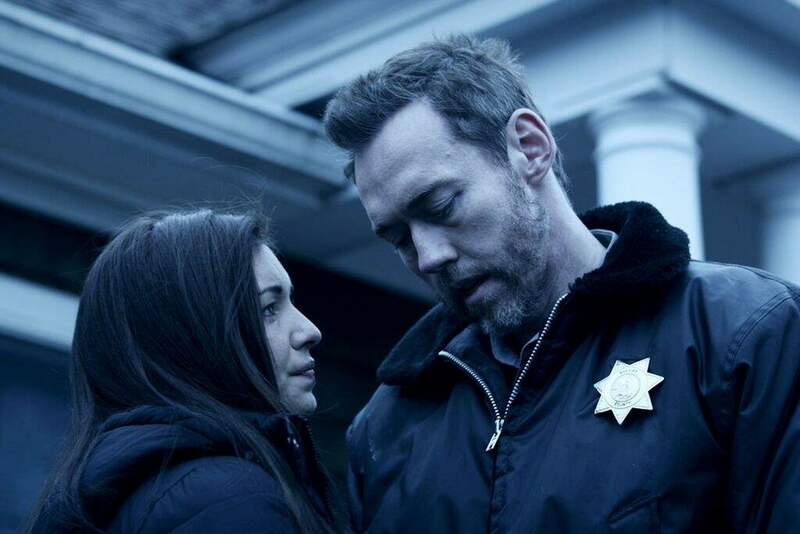 The town’s sheriff [Kevin Durand] and his wife [Kajlich] search to uncover the origin of the beast before it’s too late. Dark Was the Night is in select theatres and also available via VOD today. Wicked Horror: By my calculations, this is your first horror film since Halloween: Resurrection. What was it about Dark Was the Night that made you want to get involved? Bianca Kajlich: You know what’s really funny is that I actually didn’t even know about the project. I was on my hiatus from Rules [of Engagement]. And I was wanting to find something to do before we went back to shoot, I think it was, our seventh season. And I think somebody fell out at the last minute because they called me and my manager said, ‘You’ve been offered this movie. I don’t really know anything about it. You would have to be there in four days.’ I was like, ‘OK’. Whenever something like that happens, it’s always a tossup. You wonder what it’s gonna look like. It’s probably this horrible script and it’s gonna be dumb. And they sent the script over and I read it and I called my manager and I was like, ‘I can’t believe I’m just getting to show up for this role. This is a role that I would usually have to audition for and fight for.’ I couldn’t believe my good luck that this thing just kind of showed up on my doorstep. And it wasn’t really like most of the horror genre scripts that I read in that the forefront of the film was a story about the characters. For me, the mark of a great horror film is that you can take away the creature element and the monster element and you would still care about all these people. I really responded to that because it reminded me a lot of the old school horror movies where it was about great characters going through something. They weren’t much separated from other movies. It just happened to be that there was maybe this element of ridiculousness in it. WH: It’s nice to see that you’re knowledgable about horror films! It seemed to me like the beast was maybe a metaphor for loss and Paul’s attempt to take him down was maybe an attempt at redemption for the child that your character’s had lost. Do you think that was the intent or is there maybe some other subtext I didn’t pick up on? Bianca Kajlich: That obviously seems like a very possible scenario. I don’t know if that was the actual intent of Tyler [Hisel] the writer, but I think it is a very good guess. Certainly the character of Paul, who is played by Kevin Durand, is this man who has an incredible weight upon his shoulders. Not only being the sheriff of this small town but also this man who is supposed to be able to protect this entire town wasn’t able to protect his child. And so, yeah. I think it’s definitely a mirroring of that if it wasn’t completely dead on symbolic of it. WH: It oftentimes seems like young actresses are hesitant to portray a mother onscreen. And this is the first time I can actually recall you playing a mom. Is that something you were always open to? Bianca Kajlich: I’ve been dying to do it. I honestly have been aching to do it. I was dying to do it. It’s funny because I know people personally and I read stories about actors who are trying to be taken more seriously. I can see both sides of the coin. But I feel like, for me, every role I ever get–and it’s so contrary to who I am as a person–is always like the stripper or the prostitute. I always get these bad girls who have an edge to them. On Boston Public I played this 18 year old who was sleeping with her teacher. So, for me, I’ve been dying to play the role of a mom. Susan Shields is very religious and she goes to church. She finds that comfort after her child passes away. I honestly couldn’t believe my good fortune when it fell in my lap. It was a character that…she’s so strong and she’s been through horrible loss and subsequent tragedy with her marriage falling apart. She has this husband who is now broken, so she kind of becomes the backbone and I loved that. It was such an amazing experience for me to play and also just to be able to go up, toe to toe, with Kevin [Durand] who I think is one of the most talented actors and definitely, I think, the most [talented] that I’ve ever gotten to partner with. It was just an awesome experience, all around. It was such a great blessing for me. WH: That’s good to hear. It seems like a lot of people that I’ve interviewed have had to wrestle with the idea of being old enough to play a mother onscreen. Bianca Kajlich: I feel like, honestly, the difference for me is that there is some part of me that has always known that the more gratifying roles were gonna come for me when I was older. For me, that kind of felt like a turning. Like I’m headed in that direction now. I want to do this until I’m old and gray. So, I embrace it! We can’t escape the fact that we’re all heading in that direction and I think that Hollywood has done a bang-up job of instilling this fear, specifically in women, of embracing that and moving in that direction. And I think there are some really solid actresses out there who do embrace it. But I just think it’s such a blessing to grow old and such a beautiful thing. Some people don’t make it there. So, it’s the fact that we even get to live that long and enjoy that much of our lives is a thing to be celebrated. WH: OK, I just have one last question for you. 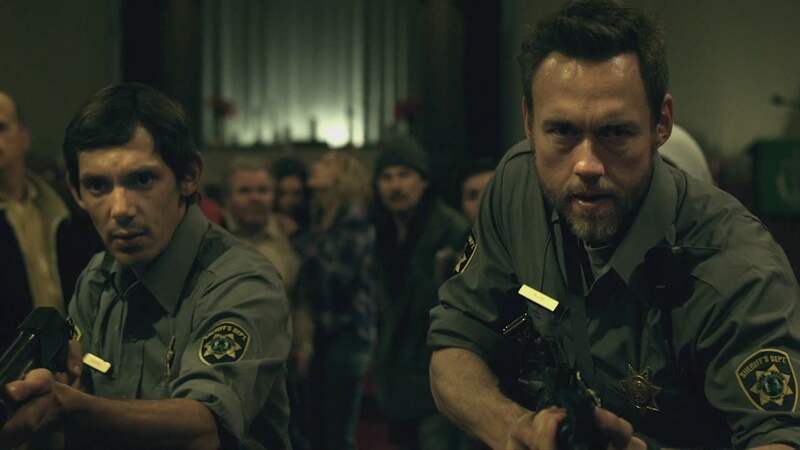 True or False: Your costar Kevin Durand bears a slight resemblance to Wolverine when he has a beard? Bianca Kajlich: Like, Wolverine the character or Wolverine Hugh Jackman? Bianca Kajlich: The character. [Laughs]. Um. Kevin Durand certainly has a beast-like quality to him. But I think it’s just because he has a powerful presence and you feel like you’re going to be eaten alive, just being around him. So, maybe. I would give a maybe. I’m not gonna go in either direction. WH: Allright. We were looking for an answer of True. But, that will do. Bianca Kajlich: Awesome. [Laughs] Tyler, it was so nice speaking with you. WH: You too. Thanks so much. Have a great day. Previous ArticleTen Years On: The Devil’s Rejects Just Keeps Getting BetterNext ArticleNaomi Campbell Signs On to New Season of AHS for Multi-Episode Arc!